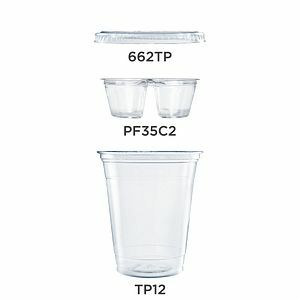 Turn a clear cup into a portable, fast, convenient and easy to use Grab ’n’ Go food package. 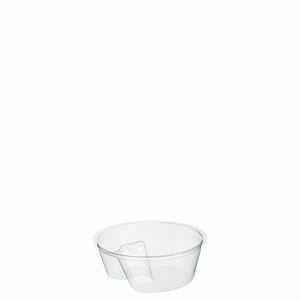 Use Dart’s new cup inserts to create yogurt parfaits, savory snack combinations, desserts and more. 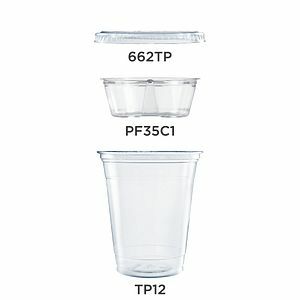 Made of PET, these cup inserts offer excellent clarity to showcase your Grab ’n’ Go offerings. 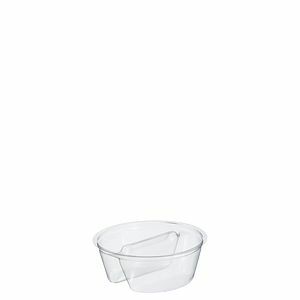 Offered in one compartment with a Clean-Lift™ post and two compartments with a Clean-Lift™ divider, these inserts will add ease of use and versatility to your creations.